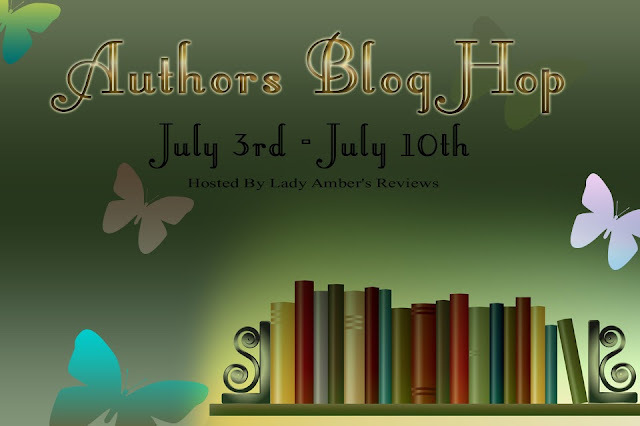 Author's Blog Hop & Giveaway! Check out the list of blogs below and visit them!!! All have features and giveaways! I'm also giving away some special goodies! For US only, One signed copy of Lullaby by Amanda Hocking, One unsigned copy of Stained by Ella James and 1 beaded bookmark of Breathe Me by Alexia Purdy. Enter in the rafflecopter form below the picture. Good luck and don't forget to go to the blogs listed and enter more contests! I love to read all most anything historical fiction is probably my favorite though. Most anything but I'm addicted to paranormal right now. Okay, I have no idea why the name listed is Beth Curtis, I don't use that email anymore. This is Sheri Kurtz. Truth be told I can't pick just one because it depends on my mood. I'm really enjoying the contemporary NA but that could change tomorrow (probably will when I pick up my Mermaid read later lol)! Thanks for the giveaway! Paranormal anything is my favorite genre! Thanks for the giveaway this is EPIC! Romance is my fav, but I read pretty much everything. I love to read historical, medieval and paranormal romance. I read mostly YA, generally fantasy or science fiction. I like YA, fantasy, paranormal, romance, any of those combined. To ask me what is my favorite genre is to ask me what my is my favorite book. I love so many genres. I love urban fantasy, sci fi, paranormal, historical fiction, children's books, thrillers, romance, and non fiction. Paranormal is my favorite. Thanks. I love YA Fantasy and Dystopian. I love Romantic Suspense and Thrillers mostly. I have several favorites, I can't pick just one. Romance, Paranormal romance, young adult and YA paranormal, horror, science fiction. Suspense and thrillers. So I guess, I just like to read. Thanks for the giveaway. I am pretty eclectic but I do love pnr either ya or na! I love Amanda HockingS hallows series by far my favorite zombie dystopian series to date by far! My favorite genre has to be paranormal, because one never knows what to expect, and there is usually something exciting about to happen right around the corner! I love to read romance: YA, Paranormal, military, historical, etc. Paranormal romance and YA is my favorite.